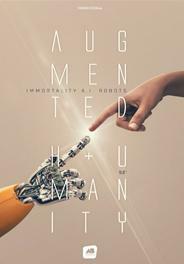 With Augmented H+umanity we will travel from USA to Asia, into the heart of labs that want to use science and technologies to radically change human beings and to create robots that seem alive. How far will technology go to improve our living conditions? Robotics is an important science, but the future of our species does not lie in a massive substitution by robots. If we lose our humanness, isn’t that the end of Humanity ? On the contrary, robotics and technologies must be used to improve the living conditions and the environment of human beings.